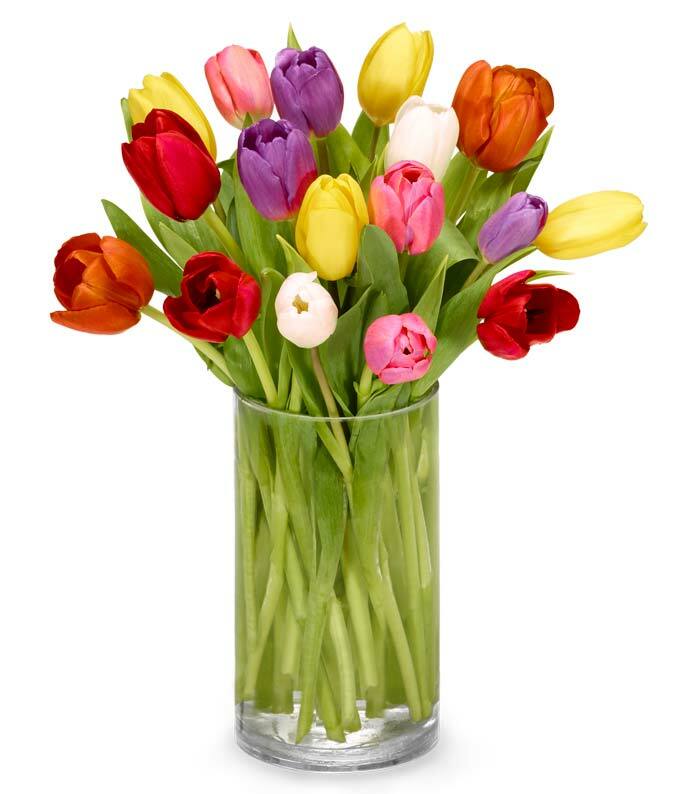 Send color and fun someone special's way with vivid, multicolor tulips! Overflowing with warm hues, this timeless flower arrangement will bring a smile to just about anyone's face during any time of the year. Tulips are known famously in demonstrating true love for another. They are also well known to symbolize rebirth, as they are among some of the first flowers to bloom during springtime.